The foyer of Olympic Station shopping mall has been transformed into a Korean food festival, the various food stalls have attracted many people to check out what little snacks they could purchase to feel like they are in Korea. 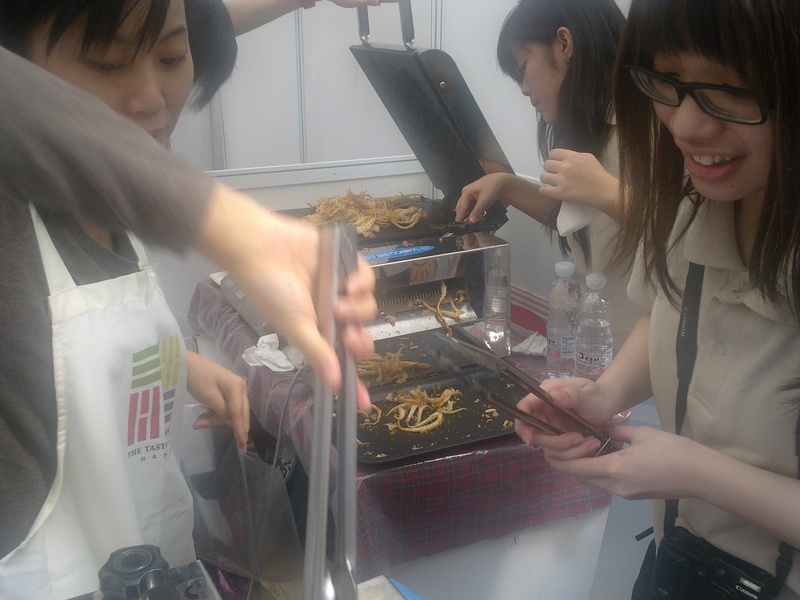 What really caught my attention was a rice making demonstration happening on stage; a giant barrel of rice and sliced veggies are being blended together by many pair of hands with a hint of sesame oil. After all the colorful ingredients have been mixed together, large bowls of rice are then handed out to anyone who wants to sample, I thought that was really cool. 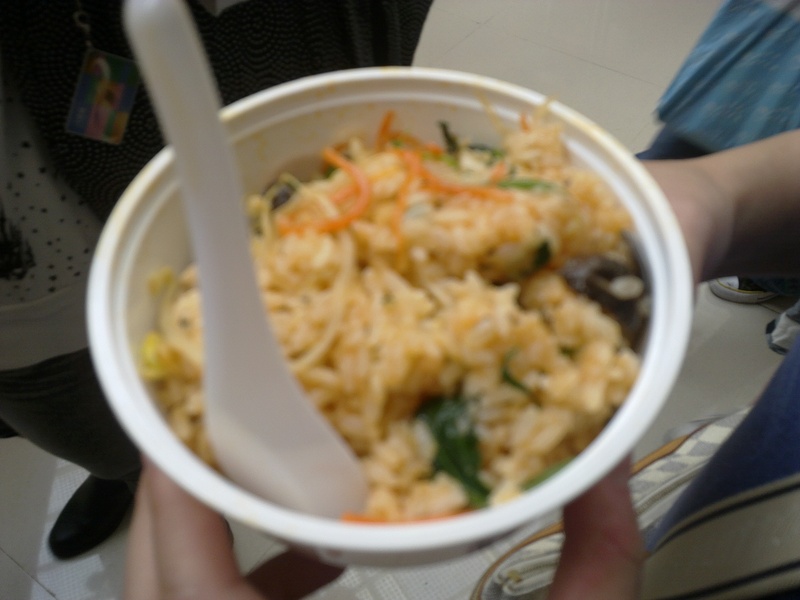 the yummy bowl of rice I was offered when I was taking picture of the giant barrel, cool! 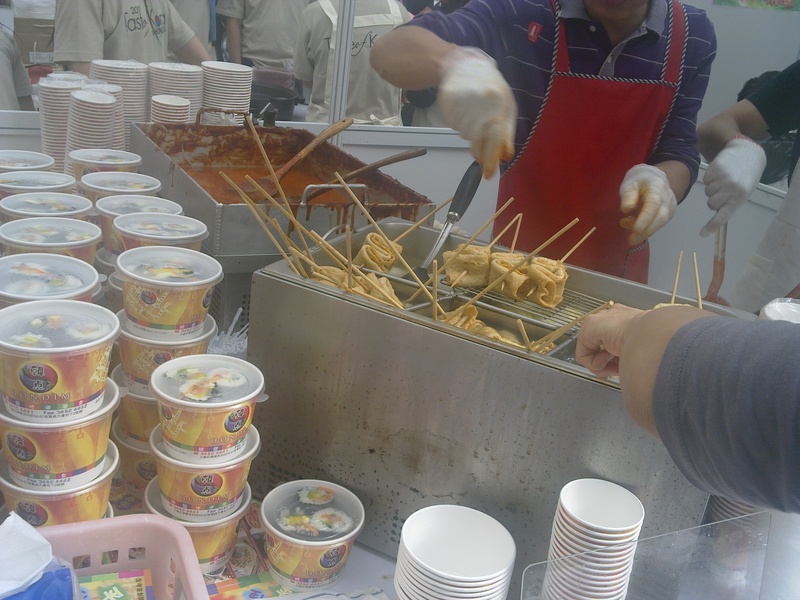 Of course there are many stalls selling Korean rice cake, kimchi, and citron tea, but it was very interesting to see Korean fish balls being sold, and they are a little different than the curry fish balls that are sold as street snacks in Hong Kong. 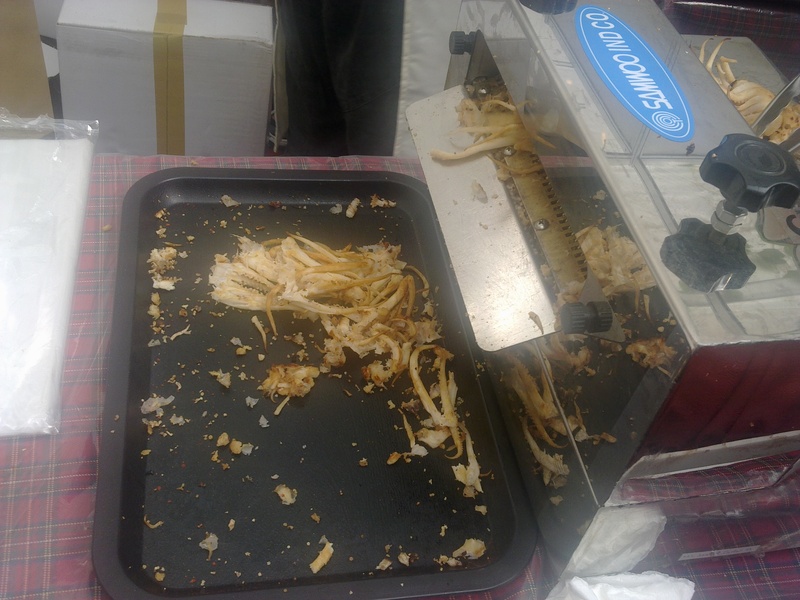 As I was taking pictures of the Korean fish balls, I can smell just grilled squid wafting to where I was standing and I immediately started searching for the stand, yummy yummy! It was definitely a little bit different than the grilled squid from Japan or Taiwan as they are usually sliced into pieces making it easy for customers to snack on. For the korean squids, there is no slicing involved, and I’ve to ripped out pieces if I want to eat and walk at the same time, and it was certainly chewy, but lacks a little bit of crunchiness to it; however, I really like the spicy powder that was blended with the squid, make the taste more aromatic.